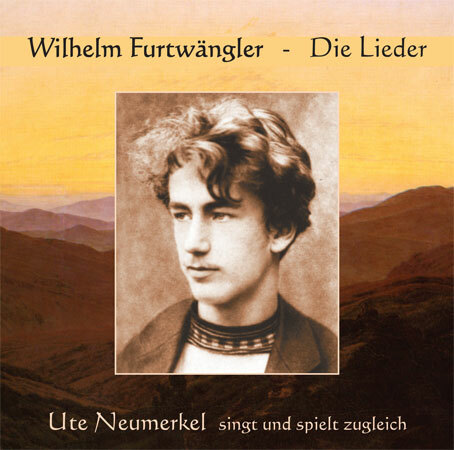 I am glad to offer you probably the first recording of the entire songs of Wilhelm Furtwängler. As a longstanding Furtwängler-admirer, I hope that many other connaisseurs of Furtwängler will enjoy these hitherto underrated works: compositions by the young Furtwängler, showing outstanding expression, warmth, depth and originality. About half of the songs I deciphered myself from the manuscripts. As an appendix, I recorded Furtwängler's very first attempts with voice and piano, interspersed with two early piano pieces. Probably 13 titles are issued for the first time. As Furtwängler's lieder are - according to the chosen lyrical subjects - nearly all composed in an adagio or andante tempo, I decided to perform them singing and accompanying myself (except tracks 5 and 13). This is also how I prefer to perform songs in public. I used a Bechstein-B-piano, built in 1928 which is very similar in shape, colour and - most importantly - sound to the one Wilhelm Furtwängler had played in Berlin and finally in Clarens. 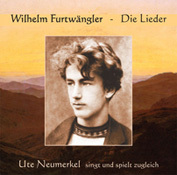 Several music lovers and Furtwängler-admirers are already enthusiastic about these recordings, above all some, who often had the opportunity to hear Furtwängler's concerts: These include his widow Elisabeth Furtwängler, his daughter Friederike Kunz and Prof. Werner Thärichen, solo-timpanist of the Berlin Philharmonic Orchestra since 1948. Prof. Dietrich Fischer-Dieskau, who still sang under the direction of Furtwängler, also welcomes this publication. "These recordings of Furtwängler's lieder are a big enrichment for every sensitive music lover." The 32-page-booklet contains a detailed biographical essay, an introduction to the Lieder, editorial notes to each music title, the complete poems and some photos. The worldwide demand of Furtwängler admirers has recently increased. 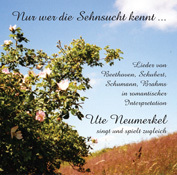 CD: "Only one who knows longing..."
My very first CD child was born spontaneously thanks to a midsummer vacancy of a concert room where I play a wonderful Bechstein B piano from about 1915. Although I accompany myself in all songs, no cutting has been done. While technically and in point of view of perfection, the recordings might not always reach the necessary level to be sold to the general public, nevertheless, I can recommend them warmly to every fan of my music. You will find a choice of lieder by the great composers, interpreted romantically, out of spontaneous feeling and sung with a natural voice. An article is enclosed titled, "Way and Vision of My Music" and I hope to translate it occasionally... In the meantime at least you might also enjoy the photo taken during the recording sessions. Sponsorship for concerts or music recordings is welcomed !